Teach your baby to self feed with our Soft Tip 'n' Grip Feeding Spoons. Their soft finger and thumb locators teach your baby to hold correctly. The large soft scoop allows for easy and safe feeding. They are safe for use in the microwave, sterilizer, and are top rack dishwasher safe. BPA free, Latex free, and PVC free. Our unique & patented Unbelievably Deluxe Suction Bowl is designed to stick to highchairs or tabletops with ultimate super suction power. Simple and easy to secure, once the Unbelievably Deluxe is securely locked in position your baby will not be able to remove the bowl or spill its contents, making mealtimes less stressful and less messy. What makes this the Unbelievably Deluxe? The award-winning, mom-approved Unbelievably Deluxe, comes with a practical & convenient snap-on lid with a soft-tip feeding spoon secured in a hygienic cover for easy feeding while on-the-go. Designed for ultimate convenience, it is truly unbelievable. Our Unbelievably Deluxe is made from safe BPA-free materials and conforms to the highest quality standards and safety regulations. Secure the Unbelievably Deluxe in 4 easy steps: 1) Lift the lever and place the suction pad on baby's highchair or on smooth surface2) Press the level down to secure the suction pad3) Lower the Unbelievably Deluxe onto the suction pad 4) Twist the Unbelievably Deluxe clockwise to lock in place As for all Vital Baby products, this Unbelievable Deluxe Suction Bowl is BPA-free, phthalate free and dishwasher safe. Suitable from 9m+. Protect your babys sensitive gums with our Soft Tip Babys 1st Spoons. They are perfect for feeding first foods. They are safe for use in the microwave, sterilizer, and are top rack dishwasher safe. BPA free, Latex free, and PVC free. Protect your baby's sensitive gums with our Soft Tip Baby's 1st Spoons. They are perfect for feeding first foods. They are safe for use in the microwave, sterilizer, and are top rack dishwasher safe. BPA free, Latex free, and PVC free. 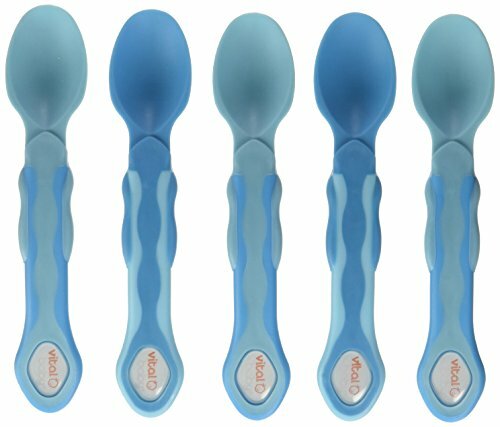 Teach your baby to self feed with our Soft Tip n Grip Feeding Spoons. Their soft finger and thumb locators teach your baby to hold correctly. The large soft scoop allows for easy and safe feeding. They are safe for use in the microwave, sterilizer, and are top rack dishwasher safe. BPA free, Latex free, and PVC free. Build confidence and encourage your baby to self-feed safely with our specially sized high grade Stainless Steel Cutlery Set. Their large, easy to grip chunky handles and soft finger and thumb locators help baby learn to hold correctly and make this knife, fork, and spoon set perfect from around 12 months. Safe for dishwasher and sterilizer. BPA free, Latex free, and PVC free. 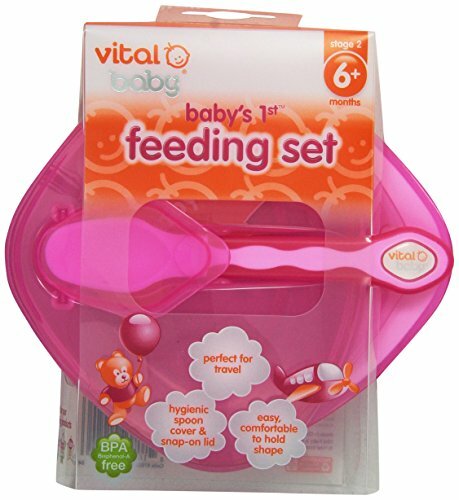 Our Baby's 1st Feeding Set makes feeding your baby easy from around 6 months. 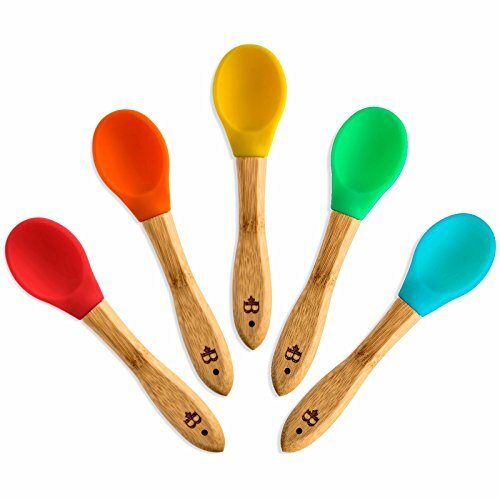 Its easy to hold shape, snap on lid, soft tip Baby's 1st Spoon and hygienic spoon cover make it ideal for meals at home or when out and about. It is safe for use in the dishwasher, microwave, sterilizer, and freezer. BPA free, Latex free, PVC free. 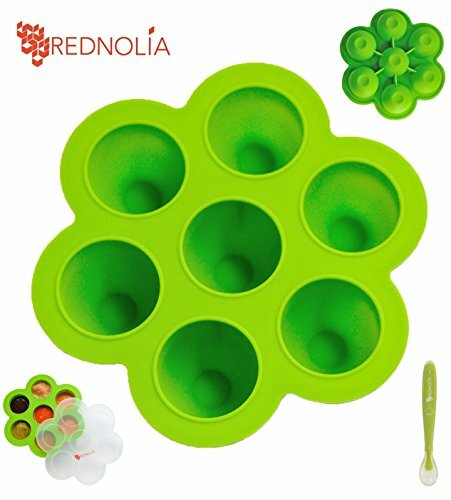 ITEM DESCRIPTION► Rednolia Silicone Baby Food Storage Container with Lids for Healthy Snack Container. ► Premium Quality Freezer tray for Storing baby Purees food as well as for Frozen Yogurt, Nuts and Dessert. ► 100% Silicone, BPA Free, FDA approved Material, and Dishwasher Safe. ► Baby Food Container comes with Clip on Lid. Can't leak when you fill up baby purees. ► Baby food storage container is non-stick finish. ► Large size food storage container than any others in the market. ► Working temperature range: ~40°F~400°F. CLEANING TIPS ► Wash the tray thoroughly before use with detergent and warm water, place it in a clean and dry place after using. ITEM USAGE► If you choose to freeze your ingredients, simply remove the frozen portions by gently squeezing the mold underneath the tray or leave it at room temperature for few minutes and it will pop right out. Alternatively you can run the tray under water to release the portion REFUND POLICY► If you are not satisfied, returned within 60 days of purchase with your order ID for a full refund.► Buy Rednolia product with confidence. Our company provides excellent customer service. A great concept. We'll see how it works on various surfaces in an upcoming review. 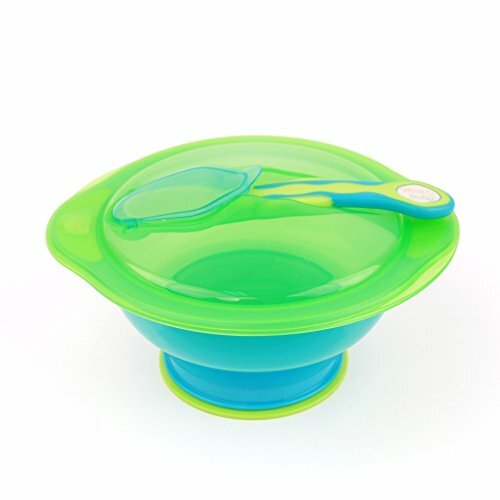 Compare prices on Baby Spoons Vital Baby at ShoppinGent.com – use promo codes and coupons for best offers and deals. Start smart buying with ShoppinGent.com right now and choose your golden price on every purchase.